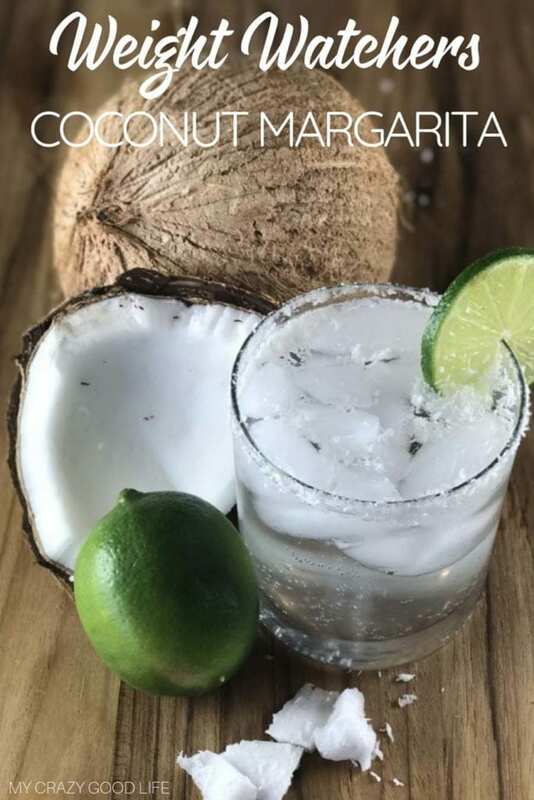 This Weight Watchers coconut margarita recipe is refreshing and delicious! It’s easy to swap out flavors of LaCroix to mix things up! Margaritas are my weakness. All of them. It’s my burden to bare I suppose! The bad news is that most cocktails and especially margaritas that you order at the bar are loaded with sugar, calories, and unhealthy ingredients. That usually means that they’re out of my points range until the end of the day rolls around. 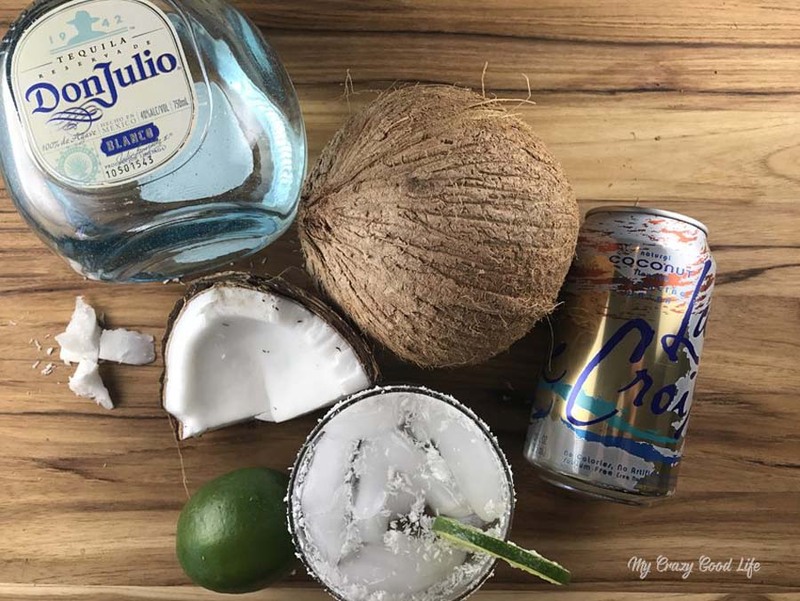 With this Weight Watchers coconut margarita recipe I can sip with confidence knowing that I’m making the healthier choice that is within my ‘budget’ for Freestyle Smart Points. How many point are in this Weight Watchers Freestyle Margarita? There are just 2 Weight Watchers Freestyle Smart Points in each of these coconut margaritas. If you’re really feeling it you can have 1.5 ounces of tequila for just 3 Freestyle Smart Points so you could dive right in and make a monster of a margarita, I won’t tell. I calculate all my recipes through the Weight Watchers website. I use their recipe creator to input all the ingredients and serving sizes. The magic of the program pops out the points! It’s quick and easy and that’s why I totally recommend you calculate your recipes from the internet over there! It’s an awesome way to make sure that you know exactly what you are putting into your body and track it properly. Is this a Weight Watchers low cal margarita? Yes! 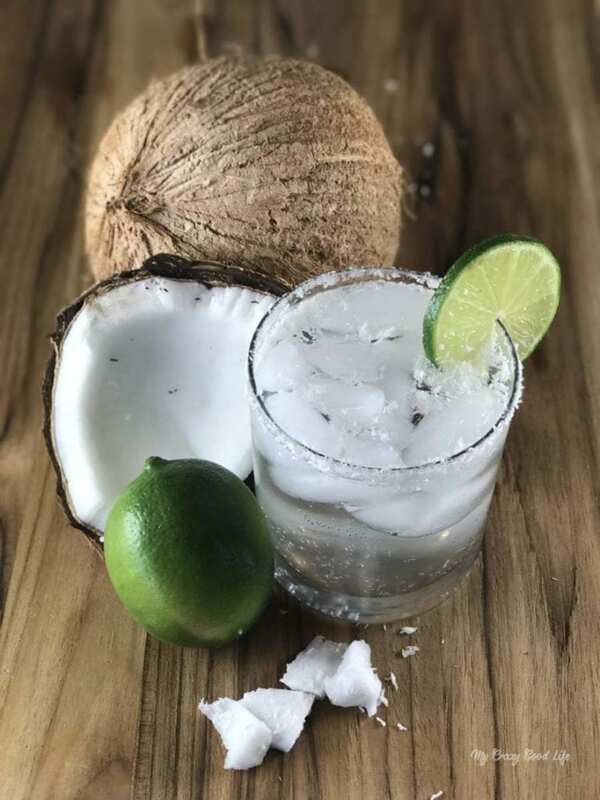 This Weight Watchers Coconut Margarita has just about 100 calories. That’s part of what makes it such a great option. It’s refreshing, delicious, and it’s not packed with unnecessary calories and sugars. 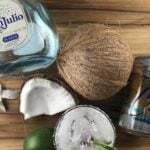 What’s in this Weight Watchers Coconut Margarita? There’s just a few simple ingredients in my favorite margarita recipe. 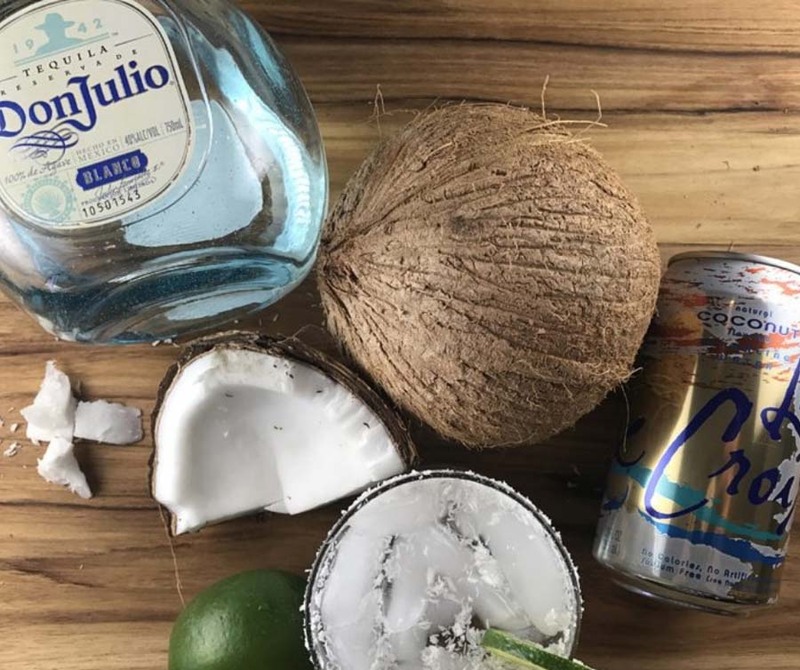 You’ll need 1 oz of tequila, a can of Le Croix coconut sparkling water, and a lime or two. 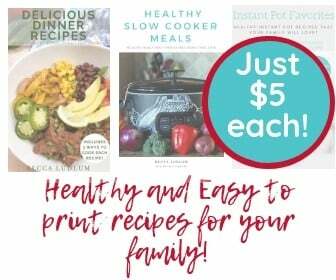 It’s so quick and easy to throw all the ingredients together and that is a must in my book! Do you have other delicious Weight Watchers recipes I should try? Combine tequila, juice from 1/2 a lime (or more if you like), and pour over ice. Top off with sparkling water.